The Buzzfeed brouhaha and the Mueller denial recall a basic point. 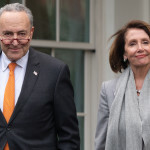 Our most critical national and civic need is to find out the truth of what happened in the 2016 election and who President Trump really works for today. That imperative is far more important than whether any individual person or group of individuals is incarcerated or otherwise punished for crimes. But that is not the purpose of the Mueller probe. It never has been. The Special Counsel investigation is a criminal and counter-intelligence investigation. Its goal is to find out whether crimes were committed and to prosecute them. 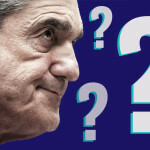 What Does Mueller's Statement Mean? The first thing to note here is that I don’t think the Mueller office has ever issued a statement like this. They hardly ever say anything at all beyond terse and procedural statements about court cases. I cannot recollect any other time when they’ve publicly disputed a story. If it’s happened once or twice, it’s extremely rare. The other point to note is that this is not a blanket refutation of the story. The statement is carefully worded and disputes “description[s] of specific statements” and the “characterization of documents and testimony obtained by this office.” It’s possible to interpret this as disputing specific subsidiary points in the story, while leaving the central claims intact. But that seems like a stretch. I want to discuss some details in the background of that new Buzzfeed reporting about Trump, Cohen and the Trump Tower Moscow deal. It’s more a matter of deduction, inference and some speculation. But you can’t understand what’s happening between Trump and Cohen without this part of the story. As noted in last night’s post, the most logical source of this story is federal law enforcement centered out of New York City. But Michael Cohen also appears to be talking extensively to congressional investigators. In any case, President Trump obviously knows whatever it is he himself did. He doesn’t need to hear about it from Buzzfeed or sources on Capitol Hill. For all these reasons, President Trump clearly has a lot to fear from Michael Cohen, about topics that go far beyond the details of his hush money payments and campaign finance law violations. Trump wants to punish Cohen and shut him up. Next consider that ABC News reported yesterday that Cohen was thinking of rolling back his congressional testimony because he feared President Trump’s escalating attacks are endangering his family. I checked in on this and Cohen’s worries seem to be two-tiered. One is the standard and understandable fear that the President’s railing could trigger some unhinged person to do something violent and rash. But it’s hard to figure where Trump’s comments are more likely to do that this week than they were last week or last month. 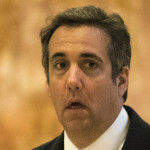 The other concern – I suspect the driving concern – is that Cohen worries that Trump is trying to endanger his family, specifically his father-in-law, either legally or through violence. As you may have already seen, Buzzfeed published a major story tonight on the Russia probe: President Trump directly and repeatedly instructed Michael Cohen to lie to Congress about the Trump Tower Moscow deal. I am going to share what I think are the key claims in the piece and some observations about the nature of the evidence. But before getting to those points an observation. The big news tonight is that President Trump told Cohen to lie to Congress. That’s a great scoop and it’s a big deal. But the issue isn’t really the lying. That flows almost inevitably from the original bad act. The President betrayed his country for the hope of a few hundred million dollars. He continues to do so today from the White House. This isn’t a crime that’s being uncovered. It’s one we’re still in the midst of. Whatever the criminal law makes of the lying, it is most important not because it is a crime in itself but because it is additional evidence of the conspiracy with Russia that propelled Trump into office and continues to this day. 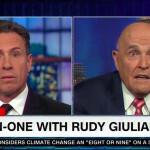 Last night Rudy Giuliani dramatically shifted his defense of the President, claiming that he’d never denied there was collusion between the Trump campaign and Russia during the 2016 election. That’s obviously false. He claimed it a million times. The point though is what he’s now claiming, or rather unwilling to claim. Giuliani now only claims that the President himself did not collude with Russia. Indeed, he makes a further, related claim that the only potential crime would be if President Trump was personally involved in the hacking of DNC servers and email accounts or paid those who did. Trump’s companies ramped up its foreign worker visas to a 10 year high in 2018. President Trump’s personal lawyer Rudy Giuliani has repeatedly moved the goalposts in his defense of his client in recent months. But he took a dramatic step forward Wednesday night when he claimed — falsely — that he’d never said there was no collusion between the Trump campaign and Russia. He now insists only that President Trump personally did not collude with Russia. Other members of the campaigns like Paul Manafort may have. GOP Rep says he was unaware of holocaust denier’s “previous associations” when they discussed eugenics today in the halls of Congress.